A quick & easy meal specifically designed to help boost sport results. 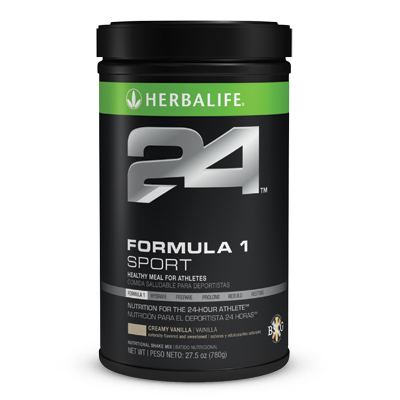 Ideal for any stage of sport it contains exactly the right nutrients to boost results. Simply use before exercise, training or sport and notice a real difference. The recreational exerciser or gym junkie, the amateur performer and the world class elite athlete. The busy professional running to the gym straight from the office without time for a healthy meal. Athletes who need to manage their weight. Convenient, ideal calorie, balanced and nutritious food in a delicious, Vanilla flavoured shake, designed specifically with athletes in mind. Perfect for breakfast or for up to 30 minutes before activity, also perfect for the period after activity. Contains 90 calories when made with 250ml of water or 219 calories made with 250ml (soya) milk, so athletes can depend on getting a great, healthy meal at home or on the move. Contains a 20g blend of fast and slow release carbohydrates to give you an immediate and sustained energy supply. Contains a 17g blend of fast and slow release protein from whey and casein to give you immediate and sustained support for your lean muscle mass. The shakes are packed with 20 vitamins and minerals including vitamins C, E and Selenium which act as powerful antioxidants and combat free radical damage associated with exercise, keeping you protected. The L-Glutamine in each shake helps support the immune system. A huge amount of healthy nutrition and only 6g of fat.